Only a short stroll from the white sands of Cable Beach, the award winning Bali Hai Resort & Spa offers luxurious, Asian styled accommodation. Surrounded by tropical gardens, our spacious villas offer privacy, self-contained facilities and the luxury of showering under the stars in your own open air Mandi bathroom. At the heart of the resort lies the Bali Hai Spa providing an exclusive range of health and beauty treatments that are as distinctive as the Australian outback and as exotic as the island of Bali. The Bali Hai Resort & Spa endeavours to provide every guest with a memorable experience that leaves them relaxed and rejuvenated. Indulge at one of the most exotic and unique places to stay in Cable Beach. 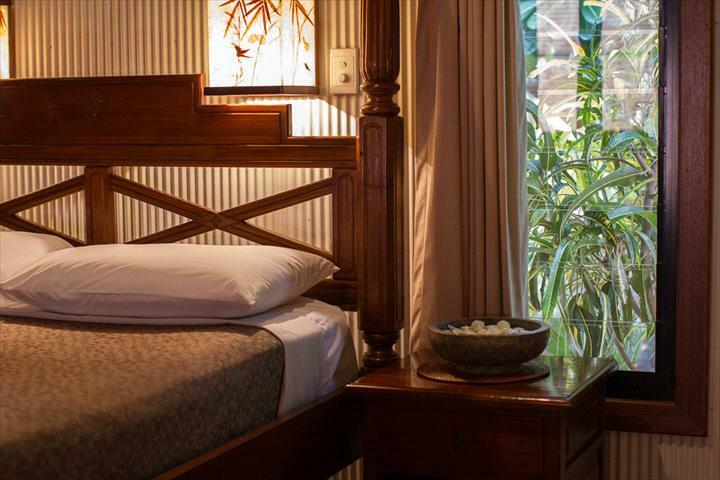 Set amongst lush tropical gardens, Bali Hai Resort & Spa reflects a strong Asian influence in both furnishings and design, including outdoor private bathrooms and courtyards. World-Class Bali Hai Spa for body treatments and massage. Large free-form pool including spa, dedicated reception and tour desk, facilities for the aged and disabled, guest laundry. 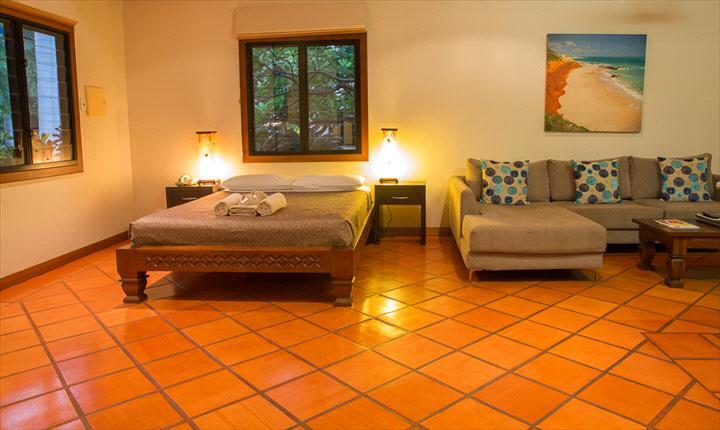 Asian-influenced rooms with open plan living and private courtyards with individual BBQs are serviced daily. 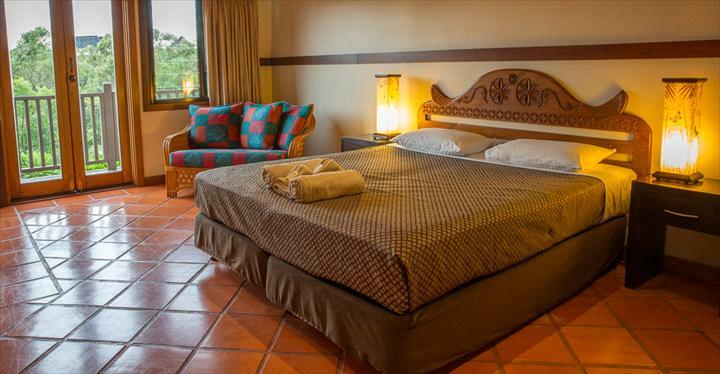 All rooms are self - contained with kitchen facilities, free in-house movies, air-conditioning, ceiling fans, ISD/STD direct dial phones, outdoor private bathrooms for a shower under the stars. Deluxe Studios also have an additional indoor bathroom with indulgent bathtub and double showers. Nestled within the Resort the very popular Bali Hai Spa offers an exclusive range of health and beauty therapies as unique as the Australian Outback and as exotic as the island of Bali. Pamper and heal your body, rejuvenate your spirit, restore your inner harmony and renew you vitality. Bali Hai Spa is very popular with visitor's and locals alike - book early to avoid disappointment. The new Bali Hai Spa is now open. Featuring 7 treatment rooms, this facility offers the ultimate in indulgence including massages, facials and body wraps. 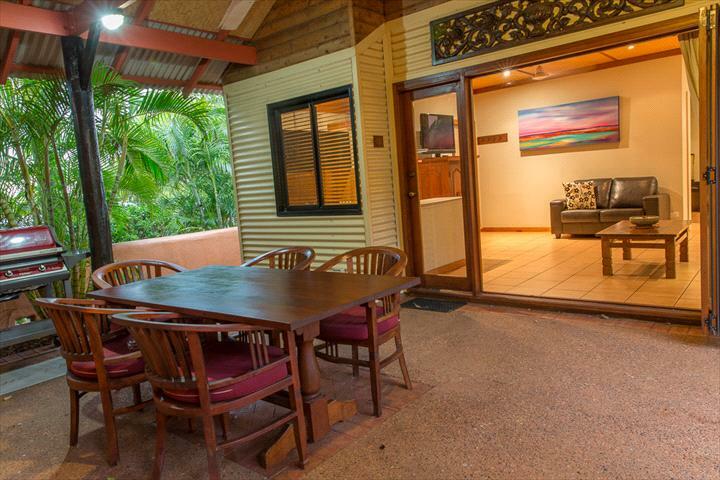 Bali Hai Resort & Spa is a 10 minute drive to Chinatown and a 10 minute walk to Cable Beach. Studios include individual courtyards and barbecues, a private outdoor bathroom with shower, kitchen facilities, air conditioning, fans, free in-house movies, free to air TV, direct dial phones, lounge. either two single or one king sized bed upstairs. TV, direct dial phones, lounge, washer and dryer. singles or one king and 2 singles. Should you cancel within 14 days of your expected arrival a fee equivalent to 1 nights accommodation is charged.